In a large skillet, heat EVOO over medium heat. Add leek and garlic, and sauté 3 minutes. 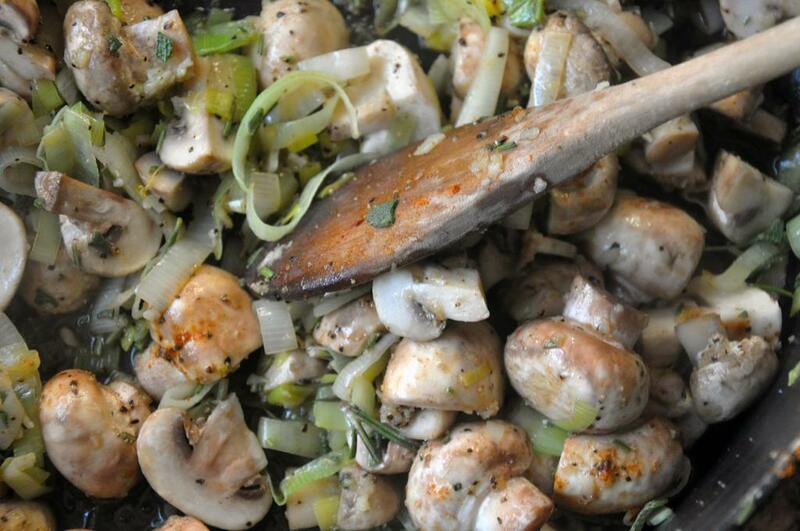 Add mushrooms, sage, 1 Tbsp rosemary, SnP and cayenne, if using. Cook about 15 minutes longer until most of the liquid has evaporated. Remove from heat and set aside to cool. In a large bowl, whisk together milk, eggs and nutmeg. Set aside. 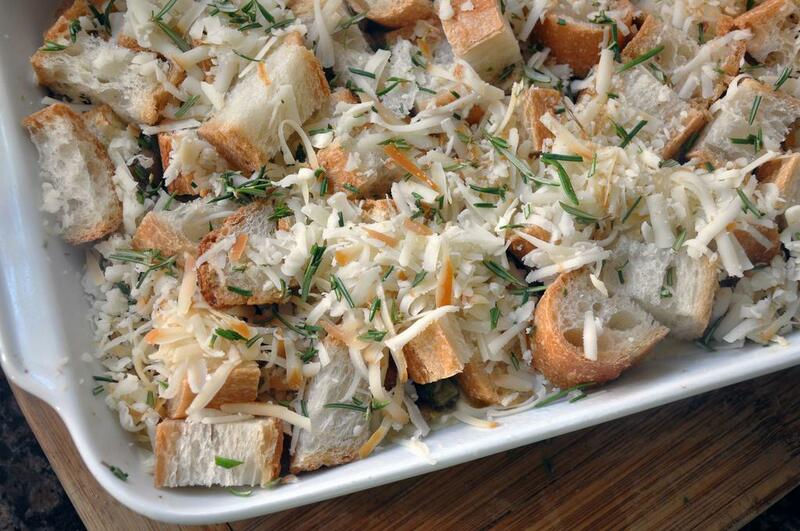 In a casserole dish sprayed with cooking spray, spread out half the cubed baguette. Top with half the cheese, and all of the veg mixture. 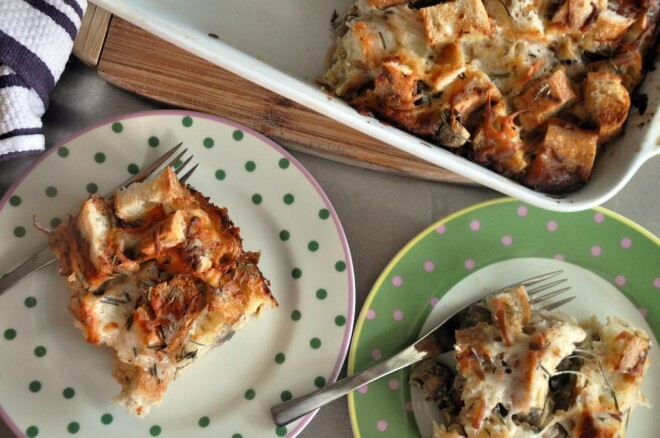 Top with remaining bread cubes and cheese. Then pour egg-milk mixture over top. Cover with foil, press the bread into the mixture, and refrigerate overnight with a plate on top to encourage the bread to soak up the liquid. The next morning, preheat oven to 350 degrees. Still covered, put the strata in the oven and bake for 60 minutes, removing foil cover in the last 15 minutes so cheese can melt and bread browns. Let stand 10 minutes before cutting and serving.